Should You Consider Refinancing to a 15 Year Mortgage? Although 30 years is probably the most common timeline for most mortgages, not everyone wants to carry mortgage debt that long. Not only does it mean that it will take three decades to own the home outright, but by the time you add up the interest, a 30 year loan could cost you a lot more than you think in the long run. That’s why people who are in their homes for the long haul often contemplate refinancing to a shorter term mortgage – usually a 15 year loan. There are pros and cons associated with 15 year mortgages and they aren’t for everyone. But for some homeowners, refinancing to a 15 year mortgage can be a good way to help them achieve their financial goals. On a $200,000 mortgage at an interest rate of 3.92%, the total cost of the mortgage for 15 years would be $264,847. By contrast, a $200,000 mortgage with the same interest rate spread over 30 years would cost $340,427. That’s an additional cost of $75,580! Note: In many cases, a 15 year mortgage can have a lower interest rate than a 30 year mortgage. Speak with one of our loan professionals for details and a customized rate quote. Also, if you’re refinancing your current mortgage into a 15 year loan, you’ll likely be refinancing a smaller amount than your original loan, which may help keep your payment costs down AND help you pay off the loan sooner. For instance, if you only owe $100,000 on a $200,000 house, then you would only need to refinance the $100,000 you still owe. Using the rates and terms from the example above, if you refinanced $100,000 to a 15 year loan, the total cost of the refinance (not including closing costs and other fees) would be $132,423. If you chose to refinance for another 30 years, it would not only take even longer to repay your debt, the total cost of the refinance (not counting closing costs and fees) would be $170,213 – that’s an additional $37,790. Lastly, refinancing to a 15 year mortgage won’t set the clock as far back, so to speak. You see, when you refinance, you’re essentially starting over with a new mortgage for whatever amount you still owe on your home. For example, if you currently have a 30 year mortgage and you’ve only got 10 years left before it can be paid off, choosing to refinance to another 30 year mortgage means that, from the time you purchased the home to the time it’s paid off, your could be saddled with mortgage debt for 50 years (20 years on the original mortgage, plus another 30 years after refinancing) unless you sell. The biggest drawback to shorter term mortgages is the higher monthly payments. Since the loan is not spread out over a longer period of time, each payment has to be higher to satisfy the debt in less time. For mortgage borrowers who are very budget-conscious, this could be a dealbreaker. Another point to consider: Mortgage debt is usually good debt. Even if you don’t love the idea of being in debt for 30+ years, it’s not necessarily a bad thing to have that debt be tied to real estate. This isn’t really a drawback to 15 year loans necessarily, but it can help put your mind at ease about having a 30 year loan instead. Although nothing’s guaranteed, real estate is historically a good investment and can help homeowners build their wealth over time. Think of your house in terms of a savings account, with your mortgage being the vehicle that helps you put money into it every month. The longer the mortgage, the lower the payments and the easier it will be on your wallet to contribute to that savings. Then, as you pay your mortgage down little by little, the equity in your home should rise – as long as home values do not drop. This type of debt serves a good purpose; it helps you put money toward an investment. By contrast, other types of debt like credit card debt or unpaid student loans, can drag your finances down and can severely hurt your credit profile. If you’re buying a starter home, it may make more sense to get a 30 year loan to keep your payments low and then sell the home when you’re ready to move on to a different place. Assuming home values continue to move up, you should be able to sell your home for hopefully enough money to cover what you owe on the mortgage, plus extra to put toward a down payment on your next home. Again, there’s no way to know for sure how the housing market will be in the future, but for some home buyers, a 30 year mortgage is a safer financing strategy. Are planning on staying in the home for a fairly long time. Are not planning on staying in the home more than a few years. 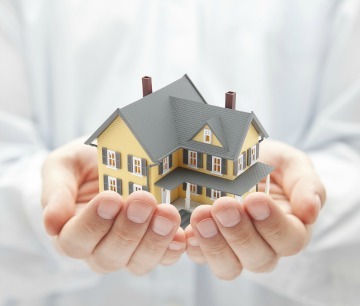 Want to explore refinancing to a 15 year loan with one of our mortgage consultants? Please contact us today to discuss your scenario.